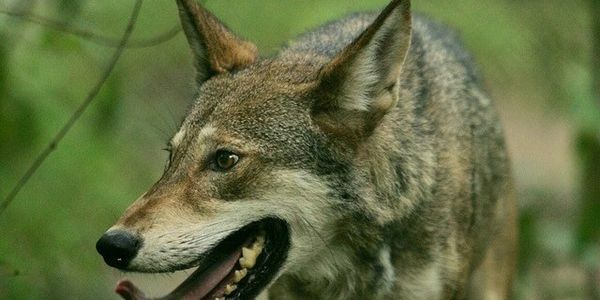 petition: Protect and Restore North Carolina Red Wolves! Protect and Restore North Carolina Red Wolves! For the last 29 years the red wolf has roamed freely on the Pamilco Peninsula. They thrived with a population reaching approximately 120 individuals. They've lived in the five counties without bothering or attacking anyone. This is the only wild population of red wolves in the world - a species that once ranged througout the Southeast coastal plain as far as Texas. In recent years the wolves have been shot and trapped, cutting the population down to 45 animals. The North Carolina Wildlife Resource Commission has been pressuring the USFWS to ignore the federal Endangered Species Act and end the reintroduction program and doom the wolf to extinction. The USFWS seems to be going along with anti-wildlife forces in the state, ending a program to limit coyotes from hybridizing red wolves and has even issued permits to kill wolves. The permitted deaths included a lactating female wolf, most likely nursing pups, even though only 12 nursing mothers are left in the wild. The USFWS needs to start doing their job. This program was an inspiration for the successful Yellowstone wolf recovery project. There's no reason for an animal that hasn't caused any harm to go extinct. Sign the petition now to urge state and federal wildlife agencies to protect and restore endangered red wolves! The red wolf recovery program needs to be reprioritzed. The only wild population of red wolves on the planet can not be allowed to go extinct simply because of political expediancy. Follow the mission of your agency and redouble your efforts for this endangered keystone species. With 60,000 supporters the petition will soon be ready to be sent to the USFWS. Hopefully this will protect this keystone species from corruption and politics. Also, the link below has images of wild wolves in the recovery area! Thanks to Dr. Ron Sutherland and other supporters, these trail cameras will show the impact that the wolf has had in its native habitat.